Dr Paul Hanna is a Lecturer in Sustainable Tourism. 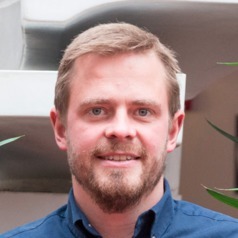 Prior to joining the University of Surrey in 2014, Paul obtained a BA (Hons) in Applied Social Science (University of Brighton), an MSc Applied Social Psychology (University of Sussex), and in 2011 was successfully awarded his doctorate from the University of Brighton for his thesis 'Consuming Sustainable Tourism: ethics, identity, practice'. From this research Paul has published theoretical and empirical insights into the experiences of engaging with and consuming sustainable tourism, alongside further developing understandings of the relationship between humans and the environment. Dr Hanna is an experienced consultant in both the public and private sectors and has extensive teaching and research experience. Before joining the University of Surrey, Paul worked as a Senior Lecturer in Psychology at the University of Brighton. Previous roles also include: Research Fellow (UoB), Early Career Research Ambassador (UoB), and Lecturer in Social Psychology (Open University).